Walking and exercise have been used for ages as a way to regulate Type 2 diabetes and improve the general health of people living with type 2 diabetes. Walking actually helps people with type 2 diabetes manage their weight and at the same time control their blood sugar levels. According to the American Diabetes Association, people living with diabetes are expected to walk for at least 30 minutes for 5 days a week. Here are tips on how you can manage diabetes and actually enjoy the walk. Before you can start working out it is advisable that you first consult your doctor to be cleared to workout. In most cases, when you workout, you will need an adjustment in your meds and diet. Your doctor will point you in the right direction when it comes to this. 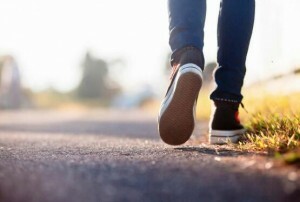 The prime goal of walking: walk for a minimum of 30 minutes with a whole 20 minutes at constant speeds of 3-4mph. Get prepared: for effectiveness, it is required that you spared a few minutes of your time to get ready to the actual walk. You achieve this through loosening up the neck and shoulder with shoulder circles and a couple of shrugs. Match in the same direction for a couple of seconds to loosen up the hips and legs. Take the right posture: when it comes to walking briskly posture is crucial. For this reason, you should always ensure that you spare a few minutes to get to the right posture before you can even start walking. Stand up in a straight posture, your eyes should be facing forward and the chin should be parallel to the ground. The core muscles have to be engaged and you do this by tilting the hips and pulling in your stomach muscles. As if there is a string that has been attached on your head straighten up. With your feet flat and parallel to the ground, raise up. Flex your shoulders and arms once again and you are now ready for the walk. Adapt a brisk pace– for the next 20-25 minutes you are required to speed up. This is where you adopt the brisk pace, a mild walking workout. Ti pace up, the arms should be moved in coordination with the steps. You have not yet reached the brisk pace if you are not breathing heavily. You should be in a position to speak a few works clearly without much of a struggle. After all, the brisk pace isn’t running. It is recommended you have an exercise pulse to check whether your heart rate is in the recommended 50-70% maximum rate. Take it easy on the last three minutes- remember this is a 30 minutes workout. On the last 3-5 minutes take it easy by adopting a relatively slower pace. Depending on your time schedule or physical condition at times implementing the 30 minutes’ walk is not something practical. Beginners are recommended to always start off easy. Ideally, taking a 10-15 minutes walk. This should increase over the weeks until they get to the recommended 30 minutes walk. Warm up is crucial. You can either start off by walking at a slow pace of jogging for approximately 3-5 minutes. After warming up you are required to stretch and flex to helps relax the muscles and provide a smooth flow of blood to the muscles. The posture matters, always look forward, your head should be upright and chin parallel to the ground. Before the walk, ensure that you drink plenty of water; this will help keep you hydrated throughout the walk. Don’t wear just any shoes, sport shoes are recommended for comfort and preventing injuries. Increase your speed when walking in intervals. This will in return increase your heart rate. Increase the distance and your walk to improve your endurance levels. Add some new set of challenges to your usual walk. Climb some hills but always proceed with moderation. Alternate shorter but faster walks whereas other days you should walk longer. Try doing with a friend, bring music along won’t hurt also. People who walk 10,000 steps every day have a high likelihood of increasing their physical fitness levels. Use a pedometer or download any of the activity apps on playstore to keep track of your activity levels. And, did you know that sitting for long hours raises your chances of contracting a cardiovascular disease and worse, diabetes. Having an activity app alerts you for being inactive for long periods. Personally whenever the term fitness was mentioned all that came to my mind was strength training, playing games or cycling. This was my definition of exercise. The first time I came across a post saying that walking can help lower blood sugar levels I took it as the usual internet crap. I was in desperation to get my sugar levels down so instead of dismissing it I tried out walking for relatively long periods and measured my sugar levels before and after the walk. Here are the surprising facts, walking helped drop my blood glucose levels by one mg/dl every minute. This is an average drop given the fact that there was a time I managed to drop 46 mg/dl in just 20 minutes. Well, this is more than 2 mg/dl for one minute. On the test, it indicated a drop of 83%. I clocked negative results only twice throughout my walking exercise. And even then I suspect it was either test inaccuracy or delay in the rise of post-meal blood sugar levels. To some, a reduction of 1 g/dl per every minute might seem insignificant. My goal and prime motivation were to reduce my intake of insulin. Every unit of insulin I take lowers my blood sugar levels by 35 mg/dl and 25 mg/dl in the evening and morning respectively. It takes a while for my sugar levels to drop. Then my blood sugar levels was at 170 mg/dl and I had to take two insulin shots even worse wait for up to an hour for the blood sugar levels to drop. It was either this or walking for 30-40 minutes. On a personal level, I opted to test walking effects after taking my meals. The results I got were positive, walking actually helped lower my blood sugar levels. Walking for only 20 minutes after the meal had me reduce my insulin intake by nearly half. In some cases, it wasn’t even necessary to take insulin. The only precaution on my side is eating foods low in carbs. To see it work you have to try it. In an experiment where people living with type 2 diabetes were used as test subjects, the effects were walking for 10 minutes after a meal was tested in comparison to the usual 30 minutes walk per day. The findings indicated that taking shorter walks after the meal is more effective compared to the single 30 minutes walk. It is therefore recommended to take a short walk after meals especially if they are high in carbohydrates. The only limitation of the study is that it was based on a short duration. It isn’t, therefore, clear whether the effects are long-term or short-term based. Also, participants diet was not monitored over this period which is a crucial factor in blood sugar levels. Either way, it all sums up to one thing, walking workout is effective irrespective of whether you do it after a meal or at your own free time.